A great collector showpiece rarity with the massive sides and unique design. I've heard rumor another tech has seen one of these but no firm sighting of one anywhere that I can find aside from this unit sourced from the Chicago music store in Tucson about a decade ago. I finally got around to repairing it and documenting all I had time to document. 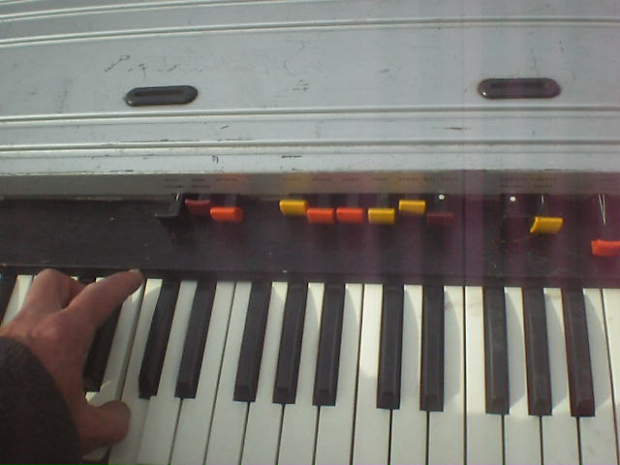 Circuitry and the drawbars are very similar to those used in Farfisa VIP345 (see my other listing for one of those!) except the tips are a bit more contoured in design. 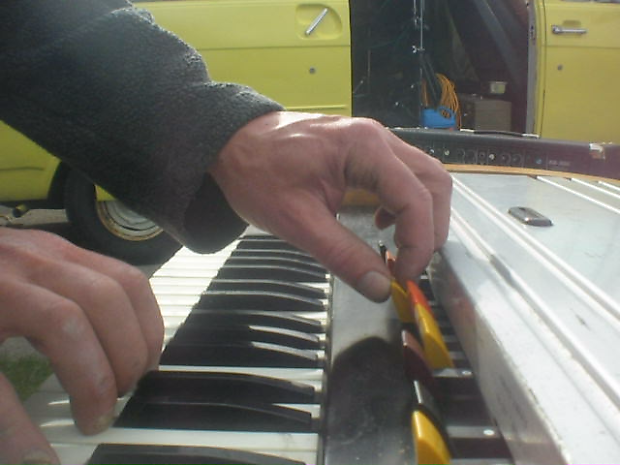 Only 3 original tips came with the unit and I had to swap all the other parts from a scrap vip345 we happen to have. It's 100% functional and cosmetically what you would expect of a 1970 relic with a galvanized sheet metal top :-). Lots of scuffs but basically this tank keeps rolling after some TLC. 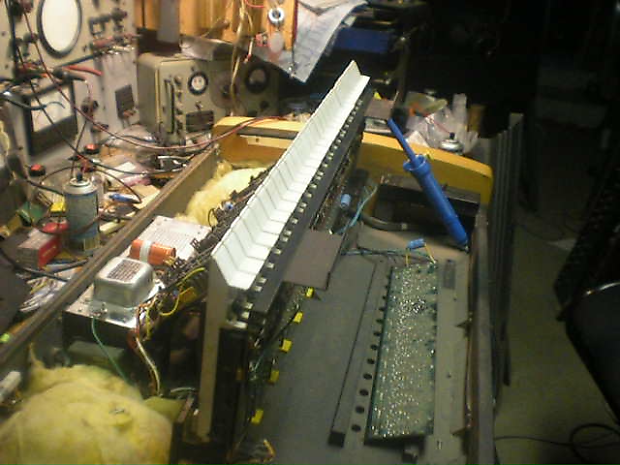 I replaced all the high esr measuring capacitors and it sounds exactly like it should I believe at this point. A volume pedal is easy to add on. 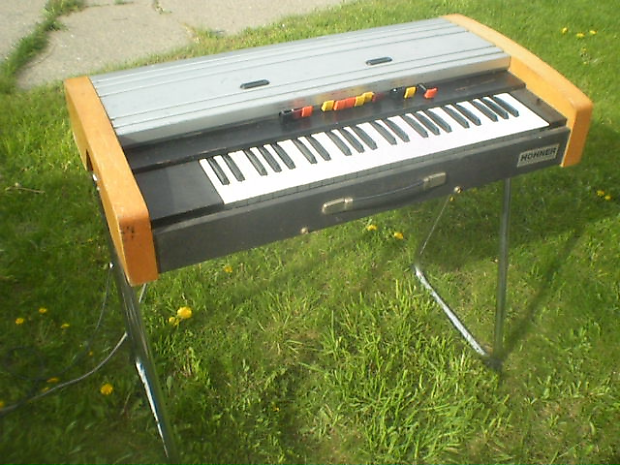 I would use a 24V lamp as the open circuit 40V should go down to about that just like the Farfisa probably when it's loaded. I have parts we could fabricate a pedal with here. Obviously the design team was the same on these units. Vibrato circuit, bass 'attack' (really more like a decay ....whatever...same thing they call it on the farfisa) and power supply have pretty much the same design. International buyers please contact to negotiate shipping method/payment. I will pack with plenty of end support so nothing gets crashed in any normal incident. I list 'as is' only because I want to dictate best resolution if any problem arises. I will see to it that I pay for local service if possible if any issue arises not in description as always. Based on purchase price of $595 at 10% APR for 12 months. Excludes tax and shipping fees, to be calculated at checkout. Rates range from 10-30% APR. Choose from 3, 6, or 12 monthly payments.